PermaFlo nonwoven polyester air filtration media is an excellent choice for better air quality and as a mist eliminator, providing solid filtering performance. This rigid, heavy-duty nonwoven polyester media is self-supporting and frames are optional. Humidity resistant, PermaFlo will not absorb moisture or sag in moist environments. UL Classified as to Flammability Only; FMVSS302 certification. PermaFlo can be easily cut-to-fit with scissors, and is available in rolls or custom cut pads. This type of heavy duty washable air filter media is easily cleaned with water for long term use. It’s bi-directional (unlike hogs hair that must be installed correctly or face loading rapidly occurs) air flow insures that it can’t be installed wrong. PermaFlo offers superior filtering performance with a lower initial resistance to airflow than pleated filters – 0.03″ w.g. in 1/2″ thickness and 0.09″ in 1″ thickness. PermaFlo is better than metal mesh mist eliminators and hogs hair filters. 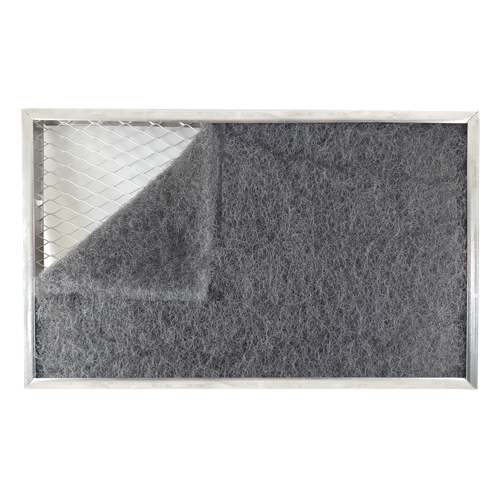 For one thing, this type of heavy-duty washable air filter media is bi-directional so it can’t be installed wrong, while a hogs hair filter must be installed correctly or face loading rapidly occurs. Also, unlike a hogs hair filter, PermaFlo air filtration media is unaffected by moisture so it cleans easily for long term use. It is safe to handle, with no fiberglass or sharp edges, and doesn’t flake or shed. PermaFlo provides superior filtering performance with a lower initial resistance to airflow than pleated filters – 0.03″ w.g. in 1/2″ thickness and 0.09″ in 1″ thickness. PermaFlo® Gray Rigid Polyester is a better mist eliminator. 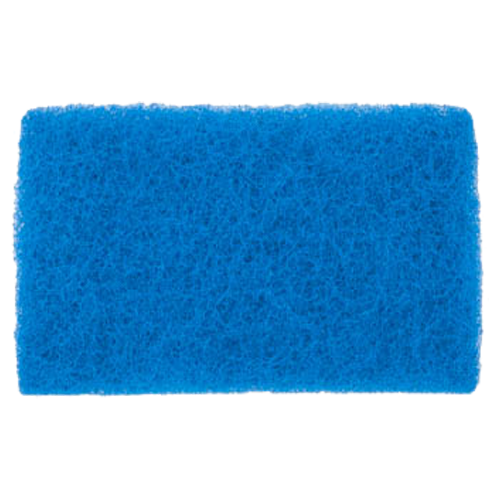 Antimicrobial has been added to this heavy-duty filter media to inhibit the growth of bacteria, fungi, mold spores, mildew and other contaminants that can be created in environments with constant humidity and moisture. PermaFlo® Blue Rigid Polyester is a fantastic alternative to hogs hair filter media, providing high-quality filtering performance and an economical alternative to disposable air filters. Steel pad stabilizing frames for use in filtration applications involving media pad change outs are also available for cut pads. Stabilizing frames are available with crisscrossed wire supports to hold the media pad into frame. By using the PreVent filters, we've reduced our seasonal filtration costs by almost 70% and our maintenance and cleaning man-hours are about a third of what they were with the old filtration equipment. 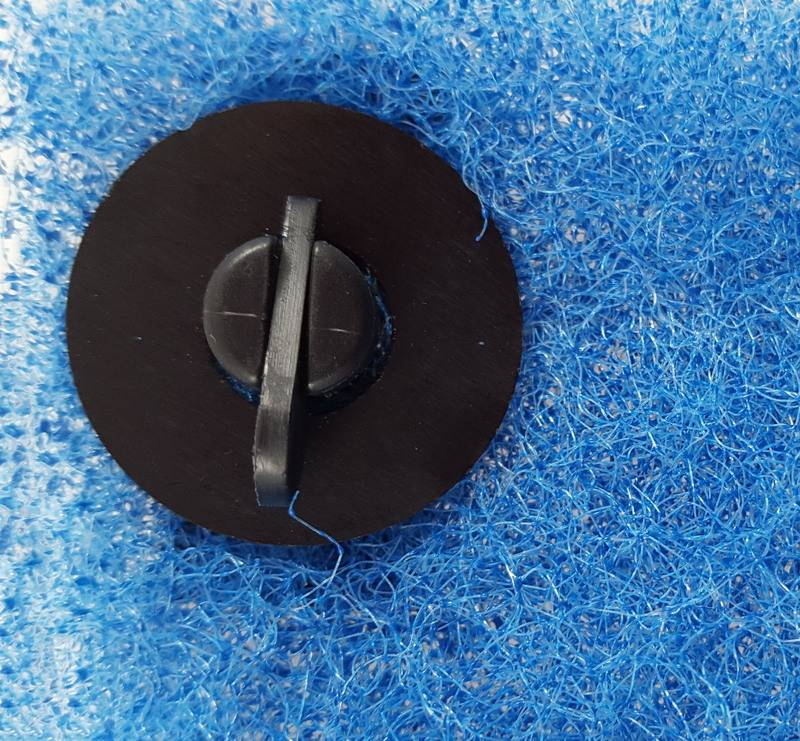 PermaFlo rigid polyester air filter pads with bi-directional air flow are a perfect alternative to old fashioned hogs hair media.